The Pastor and the Pulpit Parts 1 and 2 are on this page. What do you see when you stand in the empty church and look down the center aisle at the pulpit you preach from? Is it a sublime place? It is a comfortable place where you enjoy being? It is a place where fuzzy feelings come over you when as you orate various concepts which have been worked through for an hour or two during the week? Is it a place where the people’s needs are met through your psychologized advice to them? What is the pulpit all about? What should the pulpit be about? What does the Bible say about the pulpit? The text of Nehemiah 8:4 was a most solemn and important time in the life of Israel. Here we find the Scribe, Ezra, climbing upon the wooden pulpit made especially for the reading of the Law in a “restored” Jerusalem. From this wooden pulpit the scribe read to the tribes of Israel who had gathered about. Here Ezra would reiterate the Torah of God to the chosen people of God. Exile had come upon the people where many were killed, or enslaved, and the city of the great king ruined. Here, for the first time, after a long period of years, the Law was going to be publicly read and heard by the elect of God while the very soles of their feet stood upon the ground of the City of Peace. Who was to take up this great task of reading and expounding the Law to the people? Who was learned enough, privileged enough, ready, willing and able enough for the task? It was Ezra, who, as we find in Ezra 7:10, prepared his heart to seek the Law, to prepare for it, to do it, and then to teach Israel. Ezra knew the task he had was very weighty. He did not take it lightly. Preparation for himself was done before he ever walked upon the wooden platform. Imagine being Ezra, holding the book of the Law in your hands as you watched your fellow country men assemble this wooden pulpit for you to preach to them. They were building it for an intended purpose. Thousands would gather before you. Your purpose would be to bring words of life to a people who had been stripped of life because of their sin. God’s wrath had come to the people of Israel, and now, this reading and expounding of the Law, was going to be a beginning (hopefully) of restoration of spiritual vigor. You were going to stand in the pulpit and give the people the Law—as the voice of God. Your mouth would speak the words of life. Your mouth would teach these words. Your mouth would lift up or cast down. Your mouth would bring people closer to heaven or closer to hell. 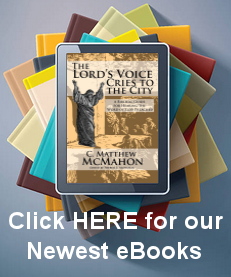 You would be the vessel whereby the chosen people of God would hear God’s voice. You are the voice piece. A minister once said, “The pulpit is the most dreadful place on the earth.” We may ask why a called minister of the Gospel would say such a thing. Why? Why is the pulpit so dreadful? Its just a place where a man, twice a week, or so, gives a short address to people from the Bible on a spiritual lesson which may help them make better decisions in life. If that is your view of the pulpit, then an early retirement, before next Sunday, is very much in order for you. The pulpit is the place where the voice of God is heard. The clay pot of the minister is used by the Holy Spirit in such a way as to communicate the rational Biblical message which has been burning in the bosom of that preacher’s heart night and day all week long. It is the place where God speaks to His people in a unique manner. The Word of God is audibly expressed and expounded by careful and responsible exegesis to God’s chosen people. Here we see the dreadfulness and gravity of the situation. God has chosen weak vessels, feeble frames made of dust, to communicate His message of good news. How careful can the preacher be? How responsible a measure can he take in his work to bring forth the Word of God? Charles Spurgeon, after each sermon was finished, would immediately turn around and kneel upon the chair behind him in earnest pleading that God would forgive him for doing such a feeble and shoddy job in preaching the sermon just moments before. Upon some occasions he spent such a long time there in tears that his deacons would come to him and have to lift him up off his knees so that he would engage some of the people who needed his counsel that day. There must be a dread about the minister; one which works in such a way as to render him wholly dependant upon the Spirit of God to communicate the Word of God through him by means of his message. There must be a complete reliance on God and an utter destitute of self, or the pulpit is nothing more than an exercise in futility. If a preacher does not see this, then he is no preacher. If a preacher does not live this, he is not called to preach. Butterflies before preaching a sermon is not a warrant for understanding the weightiness of the task at hand. You can get butterflies before you speak at a bar-b-que. There must be a day to day cry from the closet of the preacher to the throne room- of heaven, a besieging of heaven with a holy fervor that this man knows he is unable to bring any good to the people lest God is with him. This preacher knows the dread of the pulpit. He knows God looks upon those who are of of a contrite spirit, those who tremble at God’s Word, and desires that look from God, that long look, which enables him to step up before the chosen people of God and their never dying souls to bring a message of hope to them. He prays that his preparation has been adequate, that his thoughts are clear, that his message is true and biblical and that the unction of the Holy Spirit is with him. How could any preacher stand before the pulpit and not see it as a most dreadful place? Is this man so bold as to say he is able to deliver the message of Christ, the Lord of glory, to a holy ends with confidence, fervor and effectuation easily and without a week of prayer? Christ must enable him to do this, and without that ennablement, he will simply be another speaker or lecturer who advises a group of low-self esteemed men and women to 8 steps to an enriched life. What non-sense is this? Could you see Ezra standing upon the pulpit in a lax and comfortable manner, maybe leaning on it rubbing his face as he, without any real expression or fervor, read the Word of God to the people? Or is the visage of Nehemiah 8:4ff a picture of great importance and solemn “purpose”? Is it weighty? Is it of great gravity? Is it worthy of such gravity? Does it not call to the minister to take heed of its disposition and meaning, of its purpose and reason for being? How shall men and women be saved unless the preacher is sent? Such a task, the eternal life and death of the human race, is set before every minister who stands in the pulpit. It ought to be a place of utter reverence, and seen by every minister as a place of dread. Here is God’s voice. When the people of God, they who trust you as a preacher, look upon you in the pulpit, what do they see? In many churches they see a clown and do not even know it. In some churches they see a stiff, in some they see a jester, in some they see a sluggard, in some they see carelessness, and in very few (VERY FEW), they see a preacher who knows the dreadfulness of the place upon which he stands. AMEN.